Geoff Colvin is an award-winning thinker, author, broadcaster, and speaker on the most significant trends and issues impacting business and the economy. As Fortune magazine’s Senior Editor-at-Large, Geoff has an insider’s perspective fueled by long-standing relationships with the world’s top leaders in business and government. He knows what they’re seeing, thinking, and planning and reveals how they’re leading, making choices, and responding to today’s challenges in ways that others can learn from. 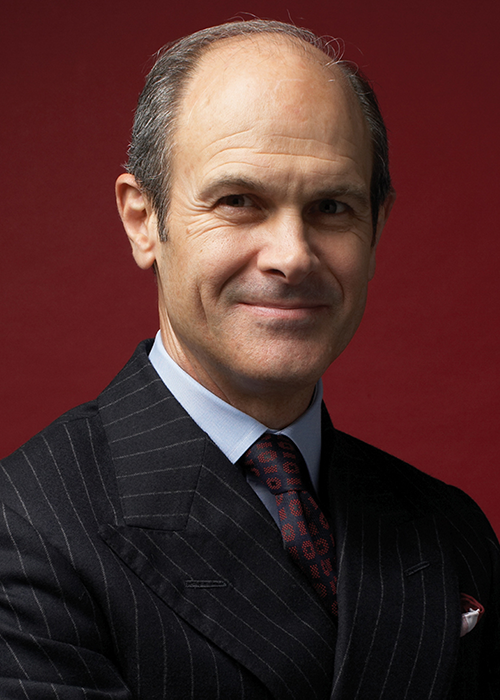 In his fourth decade at Fortune, Geoff Colvin’s breadth of experience is impressive. He is one of journalism’s sharpest and most respected commentators on leadership, management, globalization, regulation, corporate governance, competition, the economy, the infotech revolution, human performance and related issues. Geoff’s regular column and frequent cover stories in Fortune have earned him millions of loyal readers. His “On Leadership” series, which appears online on Money.CNN.com, provides a compelling look at what top leaders are doing to navigate uncertain times. Geoff is also one of America's preeminent business broadcasters. He is heard every day on the CBS Radio Network, where he has made over 10,000 broadcasts and reaches seven million listeners each week. He has appeared on Today, The O’Reilly Factor, Good Morning America, Squawk Box, CBS This Morning, ABC's World News Tonight, CNN, PBS's Nightly Business Report, and dozens of other programs. He served as anchor of Wall $treet Week with Fortune on PBS, he spoke each week to the largest audience reached by any business television program in America. As a keynote speaker, Geoff has a knack for bringing clarity to the most important and complex issues impacting business and the economy. He has spoken for scores of corporate and association conferences on six continents including dozens of high level Fortune conferences. His speeches pull together timely insights and strategies and are tailored to deliver relevant insights that help leaders understand what the future holds. In addition to speaking Geoff is also a brilliant panel moderator, emcee and interviewer whose subjects have included Jack Welch, Henry Kissinger, Richard Branson, the Prince of Wales, Bill Gates, Alan Greenspan, Steve Case, Tony Blair, Michael Dell, Ted Turner, George H.W. Bush, George W. Bush, Henry Paulson, Ben Bernanke and many others. Geoff is a respected author whose groundbreaking international bestseller, Talent Is Overrated: What Really Separates World-Class Performers from Everybody Else, has been published in a dozen languages. The Upside of the Downturn: Management Strategies for Difficult Times was named “Best Management Book of the Year” by Strategy + Business magazine. Geoff’s next book (due in mid-2015) is based on the idea in his wildly popular article in the 2014 Fortune 500 issue – “In The Future Will There Be Any Work Left for People to Do?” It will look at the trend of technology displacing more jobs than it creates and the ways people will create value for their organizations and their careers in the changing economy. The ideas have profound implications. A native of Vermillion, South Dakota, Geoff Colvin is an honors graduate of Harvard with a degree in economics and has an M.B.A. from New York University. Jeff Wike is the CTO for Film and TV Production for DreamWorks Animation, where he is responsible the strategic vision, creation, operations and maintenance of the studio’s 3D computer-generated animated production platform. 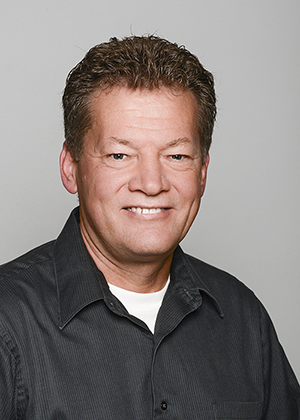 In his role, Jeff is responsible for all aspects of technology needs for film and TV production, including software development, technical operations and the provisioning of technology resources required for digital content production at the California studio. Jeff has taken a leading role in a number of significant technology initiatives in his tenure with DreamWorks Animation. He was instrumental the conversion of the studio from 2D to 3D; authoring of films in stereo; the adoption of Linux; creation of pre-visualization capability; and development and deployment of the studio’s advanced artist tools re-architected to take advantage of multi-processor hardware architectures and cloud computing as well as big data analytics for infrastructure efficiency. Jeff has been with DreamWorks Animation for 20 years. Prior to joining DreamWorks Animation, Jeff developed software for the U.S. Department of Defense and NASA’s Jet Propulsion Laboratory as well as led R&D projects for TRW in the area of 2D and 3D image processing, robotics and artificial intelligence. As a Captain in the U.S. Army, Wike served as a paratrooper, an intelligence officer and developed software for intelligence and electronic warfare battlefield automated systems. Jeff has a B.S. in Engineering from the U.S. Military Academy at West Point and a M.S. in Computer Engineering from the University of Southern California, Los Angeles. He is on the executive board and CFO of the International Animated Film Society, a member of the Visual Effects Society and a member of Industry Council for the US Department of Energy’s Exascale Computing Project. 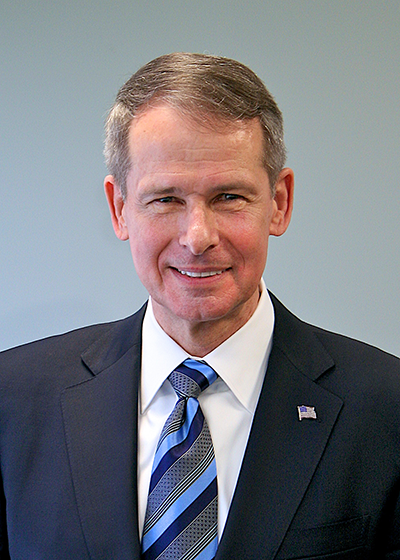 General Peter Pace retired from active duty on October 1, 2007, after more than 40 years of service in the United States Marine Corps. General Pace was sworn in as sixteenth Chairman of the Joint Chiefs of Staff on Sep. 30, 2005. In this capacity, he served as the principal military advisor to the President, the Secretary of Defense, the National Security Council, and the Homeland Security Council. Prior to becoming Chairman, he served as Vice Chairman of the Joint Chiefs of Staff. General Pace holds the distinction of being the first Marine to have served in either of these positions. Born in Brooklyn and raised in Teaneck, NJ, General Pace was commissioned in June 1967, following graduation from the United States Naval Academy. He holds a Master's Degree in Business Administration from George Washington University, attended the Harvard University Senior Executives in National and International Security program, and graduated from the National War College. During his distinguished career, General Pace has held command at virtually every level, beginning as a Rifle Platoon Leader in Vietnam. He also served as Commanding Officer of 2nd Battalion, 1st Marine Regiment; Commanding Officer of the Marine Barracks in Washington, D.C.; Deputy Commander, Marine Forces Somalia; Deputy Commander, Joint Task Force Somalia; Director of Operations for the Joint Staff; Commander, U.S., Marine Forces Atlantic/Europe/South; and Commander in Chief, US Southern Command. In June, 2008, General Pace was awarded the Presidential Medal of Freedom, the highest civilian honor a President can bestow. General Pace is currently serving on the Board of Directors of several corporate entities involved in management consulting, private equity, and IT security. He served on the President’s Intelligence Advisory Board, and on the Secretary of Defense’s Defense Policy Board. General Pace served as leader-in-residence and the Poling Chair of Business and Government, for the Kelley School of Business, Indiana University. He is a Distinguished Visiting Research Scholar for Fordham University, and an Adjunct Faculty member of Georgetown University. General Pace is associated with a number of charities focused on supporting the troops and their families. He is Chairman of the Board for Wall Street Warfighters Foundation, an organization that provides training support and job placement services for disabled veterans interested in careers in the financial services industry. He is also a long-standing member of the Board of Directors for the Marine Corps Law Enforcement Foundation – a charity that provides scholarship bonds to children of Marines or Federal law enforcement personnel who were killed while serving our country. In addition, General Pace is a member of the USO World Board of Governors, and serves on the Advisory Board for Snowball Express, a charity focused on providing positive activities for children of our fallen military members. He and his wife Lynne are on the advisory board for Our Military Kids, an organization that supports children of deployed Guard and Reserve personnel with tutoring and enrichment activities. General Pace and his wife, Lynne, have a son, Peter; a daughter, Tiffany; a daughter-in-law, Lynsey Olczak Pace; and two granddaughters, Linden Elyse and Hadley Rae. Lewis has been in the various engineering, product management and marketing, business development and market research and analysis positions surrounding IT over the last 28 years, ranging from embedded database, signal analysis, and control systems to Enterprise middleware and applications. Lewis started his career as a Research Engineer with SRI International working on projects for the EPA, DoE, US Army and other government agencies. Lewis then moved to commercial industry, living in Japan and working as a systems engineering manager for embedded control hardware and software at Motorola covering customers in Asia Pacific, India, Australia and Japan with a focus on Wireless Communications provides and capital equipment manufacturers. After joining Sun Microsystems in 1998, Lewis held several global management positions in product management, ISV partner recruitment, and industry and horizontal solutions marketing over an 8-year period. In 2005, Lewis joined BEA Systems where he managed Public Sector and Commercial Industry marketing for four years and transitioned into Oracle's Industry Business unit as a Global Government Industry Market Researcher after the acquisition, covering the entire range of Oracle's products. Lewis graduated from the University of California Davis with a Bachelors and Masters in Electrical Engineering. Lewis has been with HP Software two years covering various strategic software initiatives including vertical industry and key horizontal solution development areas including Cloud, Mobility, Security and Big Data across HP Software as well as all of HP. Lewis has been in the various engineering, product management and marketing, business development and market research and analysis positions surrounding IT over the last 28 years, ranging from embedded database, signal analysis, and control systems to Enterprise middleware and applications. Lewis started his career as a Research Engineer with SRI International working on projects for the EPA, DoE, US Army and other government agencies. Lewis then moved to commercial industry, living in Japan and working as a systems engineering manager for embedded control hardware and software at Motorola covering customers in Asia Pacific, India, Australia and Japan with a focus on Wireless Communications provides and capital equipment manufacturers. After joining Sun Microsystems in 1998, Lewis held several global management positions in product management, ISV partner recruitment, and industry and horizontal solutions marketing over an 8-year period. In 2005, Lewis joined BEA Systems where he managed Public Sector and Commercial Industry marketing for four years and transitioned into Oracle's Industry Business unit as a Global Government Industry Market Researcher after the acquisition, covering the entire range of Oracle's products. Lewis graduated from the University of California Davis with a Bachelors and Masters in Electrical Engineering. Thom Farrell is a Chief Architect for the HP Software Professional Services Americas Information Technology Performance Suite (ITPS) practice, responsible for supporting software and services sales and delivery. His role includes defining enterprise roadmaps and services across the ITPS portfolio including Service Management strategies for customers incorporating Strategy and Governance, Service Design, Transition and Service Operations Management in traditional IT, system integrator, and cloud based models. Thom has supported architectural needs including software and services sales at Mercury Interactive, now part of HPE. He has lead in ITPS and BTO solution architecture since 2003 in areas including quality management, operations management, service management, project and portfolio management, asset management, enterprise architecture methodologies and leading practices. Thom brings more than 15 years of global IT consulting experience including commercial and government environments. Michelle Walker is a Principal at Capgemini leading the North America Test Practice. 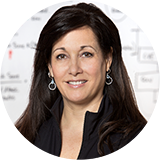 Michelle has led large testing practices across Life Sciences, Consumer Goods, Communications and Government services for clients like TXU Communications, CapRock, Cognizant, XO, Sprint and the Department of Defense U.S. Space Command. While serving as the SAP Test Practice Director for Pepsi, Michelle centralized and optimized testing across a global, multi-vendor program, spanning several years. She is known for her extensive engagement and program/project management expertise, specializing in delivery of at risk programs. Ms. Walker has over 25 years in IT, and earned her B.A. in Business Administration at Dallas Baptist University in Dallas, Texas. Today Michelle leverages her prior successes into growing Testing as a Service (TaaS) solutions for U.S. Government and commercial clients within North America for Capgemini. Stu Hammer is the Director of the Application Services and Program Excellence Practice for HP Enterprise Services (HPES), U.S. Public Sector. He is responsible for leading the application services practice providing strategic practice capability and oversight for U.S. Public Sector clients. Hammer has specialized in driving transformation programs for clients with an emphasis on Application Transformation to Cloud, Application Modernization and Agile/DevOps application programs. 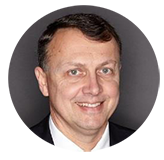 Hammer brings more than 31 years of IT/consulting experience as a proven leader and member of executive-level management team, partnering corporate objectives with technology advances with an insight for new trends. He has been a frequent speaker on IT transformation trends and has specialized on providing application transformation strategies for clients. Hammer has held a number of leadership roles during his tenure at HPES in both commercial and public sector including: Director of U.S. Public Sector Application Transformation; Director of Financial Services Applications Insurance Segment; and Director of Global Applications Business Transformation Outsourcing. Prior to HPES, Hammer served as Vice President of Information Technology for Gelco Information Network providing payment processing and trade promotion management business services for Gelco’s clients. He led the IT organization to modernize the Gelco applications to a new e-business “Software as a Service” solution capability for the company’s clients. He also served as Managing Director of MCI Systemhouse's Enterprise Application Integration and Technology Solutions. Hammer orchestrated the launch of "EnterpriseConnect" and "Enterprise Component" service model, providing enterprise integration using iterative development and integration techniques for clients. Hammer has also held senior management and technical positions at US West (now CenturyLink) and Marten Transport, Inc. In these roles, he led key corporate IT initiatives to bring high value to the business through implementation of strategic transportation and telecommunication systems. Hammer graduated from the University of Wisconsin-Eau Claire with a Bachelor of Business Administration and Information Management. He received a Masters of Computer Systems Management (MCSM) degree from Creighton University and was nominated to Beta Gamma Sigma, the honor society for Collegiate Schools of Business. Chane has over 30 years of experience working in the software industry, half of that time in R&D and half in product management. Prior to this position, Chane was responsible for Business Service Management end-to-end product strategy. Chane has held various managerial positions at HPE focused on the ITOM portfolio in product management, product marketing, business development and customer success. In addition, he spent 2 years working with customers to help define the IT Value Chain and Reference Architecture which is an Open Group standard (IT4IT.com). Prior to HPE, Chane held executive roles at Bristol Technology in Business Development, Product Management and R&D. Chane also works with the HPE Transform to Hybrid Infrastructure team to ensure software products are core to HPE hardware and services solutions. Chane started his career as a software engineer and has been involved in every aspect of delivering successful software products since then. He holds a B.S. degree in Biochemistry and Biophysics and a M.S. degree in Computer Science, both from Oregon State University. He has authored two books on C++ and with his wife wrote a book about his ancestors’ 1864 Oregon Trail journey. Outside of work Chane enjoys photography and running. Major General (Ret) Earl D. Matthews is vice president of Enterprise Security Solutions Group for Hewlett Packard Enterprise, U.S. Public Sector. In this role, General Matthews leads a team of cybersecurity experts who deliver strategic, end-to-end solutions to help HPE clients anticipate, overcome and reduce security threats and vulnerabilities while achieving their missions. Earl Matthews is an award-winning retired Major General of the U.S. Air Force with a successful career influencing the development and application of cybersecurity and information management technology. His strengths include his ability to lead large-scale, diverse, global organizations that operate, extend, maintain and defend global networks. He has earned a reputation as a motivational leader and change agent focused on delivering technical innovations that resolve complex challenges. Throughout his three-decade military career, General Matthews held many assignments, including cyber operations, plans and policy, resource and budget management, acquisitions and staff positions. Currently he serves on the Board of Directors of the Air Force C4 Association and Chapter Advisory Board, AFCEA Washington, DC. Following basic training, Durant attended the Defense Language Institute, and got assigned to the 470th Military Intelligence Group in Fort Clayton, Panama, as a Spanish voice intercept operator. He then completed helicopter flight training at Fort Rucker, Alabama. Upon appointment to Warrant Officer One in 1983, he completed the UH60 Blackhawk Qualification Course and was assigned to the 377th Medical Evacuation Company in Seoul, Korea. His next assignment was with the 101st Aviation Battalion, where he performed duties as an instructor pilot, and he learned the importance of leadership at an early age. Durant joined the 160th Special Operations Group in 1988. Assigned to D company, he performed duties as Flight Lead and Standardization Instructor Pilot. He participated in combat operations Prime Chance (Persian Gulf in 1989), Just Cause (Panama invasion in 1989), Desert Storm (Liberation of Kuwait in 1991), and Gothic Serpent (Somalia in 1993). On multiple occasions, he has been selected by military leaders and White House officials to spearhead high-profile engagements and has received many prestigious awards as a result. This includes several Top Federal 100 Awards; the National Security Agency Frank B. Rowlett Award; National Defense citations; the Zachman Enterprise Architecture Award; the Government Information Security Leadership Award from ISC2; and Executive Leadership in Information Resources Management—Defense and Association for Federal Information Resources Management. As an expert on cyber, he is sought out to speak at high-tech conferences, advise key task forces, participate in affiliations and testify before Congress. Most recently, General Matthews served as the Director, Cyberspace Operations and Chief Information Security Officer, Office of Information Dominance and Chief Information Officer, Office of the Secretary of the Air Force, the Pentagon, Washington, DC. He provided oversight for the Cyberspace Operations and Support Career Field Functional Manager, responsible for the development of 42,000 officers, enlisted and civilian personnel. He was also responsible for the Air Force information assurance program to ensure compliance with all legislative, DoD and joint information assurance policies and directives. Additionally, he led the Air Force in developing cyberspace operations policy, providing IT and National Security System solutions and shaping long- range strategies for management of a portfolio valued in excess of $7B annually.One of General Matthews’ notable positions was his tenure as Chief Information Officer, US Transportation Command, where he executed a $500M annual budget in support of a $15.4B multi-modal transportation business.General Matthews earned his Bachelor of Science degree Computer Information Systems from Northern Arizona University, followed by a Master of Arts in Computer Resource Management from the Webster University and completed the Executive Business Program, Smeal College of Business, Pennsylvania State University.Additionally, Earl completed 6-Sigma AFSO Leadership at the University of Tennessee and Executive Logistics and Technology Program, University of North Carolina. I am the Director of Strategic Initiatives at HPE Enterprise Security Products. In my sales support role, I work directly with customers to uncover their most pressing security challenges and present top-quality solutions that draw from HPE’s product suite. My frequent appearances at public speaking engagements and demonstrations are also core to my work with HPE. My aptitude for helping analysts and senior stakeholders choose appropriate security solutions comes in part from being in their shoes at one time. Leveraging this perspective, I use the wisdom I have accrued and generate recommendations that provide clients immediate relief from major challenges. Some of my career highlights include: leading as a senior team member in constructing the U.S. Department of Justice (DoJ) Security Operations Center (SOC), being tasked with giving FBI Director Robert Mueller a tour of the SOC, conducting more than 20 SOC assessments for several federal agencies, compiling reports and presentations detailing plans for future strategy and action, and providing impactful cyber defense capabilities to the entire U.S. Department of Defense (DoD) network through its JUICE exercise. This rich and colorful history of working with federal agencies has allowed me to become a credible adviser to clients seeking cybersecurity solutions. Developing a security plan for today’s dynamic online landscape can be a daunting task, and many customers are unsure of the first step toward success in the realm of information security. With my guidance, agencies can implement comprehensive security technologies that will protect them from cyber attacks. Matt Fisher is a Solutions Architect on the Fortify Federal team and has been providing static, dynamic and iast solutions to the Federal government for over 15 years. With HPE, he now helps DoD Agencies implement automation and business processes at scale to help reduce both software risk and cost while adapting to ever evolving development operations, continuous monitoring and cloud deployment models. Prior to joining HPE Fortify he ran operated a boutique providing top-shelf assessments to the Federal Government and commercial clients. As an original member of SPI Dynamics he has contributed greatly to the web application security domain and has discovered multiple known vulnerabilities as well as exploitation and testing techniques. He has educated thousands in software security, and has been a repeat speaker at security outlets such as ISC2, SANS, ISSA and ISACA events as well as the DoD Cybercrime Conference, the Air Force Information Technology Conference, ShmooCon, ToorCon and Red-Blue. He has been published multiple times in books, print magazines, and online outlets and has held 6 different technical certifications. Tammy Torbert is an experienced IT professional with over 20 years’ experience with the last 10 focused specifically in Security Engineering. She has spent most of her career supporting federal agencies, including roles with major system integrators, as a federal employee and most recently as a Worldwide Solution Architect for HP Enterprise Security Products. Her experience includes technical engineering and technical leadership, including technical consulting, delivery and architecture. Currently, Tammy supports the US Public Sector agencies in providing guidance around how to best meet security needs while supporting the agency mission. Mischel Kwon is an IT executive with more than 33 years of experience ranging from application design and development, network architecture and deployment, Information Assurance policy, audit and management, technical defensive security, large wireless system security, to building organizational and national level Computer Emergency/Incident Response/Readiness Teams. Ms. Kwon currently serves as the President and CEO of MKACyber, a security consulting firm and Managed SOC Services Provider (MSSP) specializing in Technical Defensive Security, Security Operations and Information Assurance. Most recently, as the Vice President of Public Sector Security for RSA Security, Ms. Kwon was responsible for leading RSA in assisting the public sector security solutions, strategies, technologies and policy. Ms. Kwon was named the Director for the United States Computer Emergency Readiness Team (US-CERT) in June 2008 where she spearheaded the organization responsible for analyzing and reducing cyber threats and vulnerabilities in federal networks, disseminating cyber threat warning information and coordinating national incident response activities. Ms. Kwon brings a unique blend of hands on experience, academic research and training, and a seasoned understanding of how to build operational organizations from inception. Among her successes at the United States Department of Justice (DOJ), where she was Deputy Director for IT Security Staff; she built and deployed the Justice Security Operations Center (JSOC) to monitor and defend the DOJ network against cyber threats. Ms. Kwon holds a Master of Science in Computer Science and a graduate certificate in Computer Security and Information Assurance. In addition, she served as an adjunct professor for eight years at George Washington University in Washington, DC, where Ms. Kwon also ran the GW Cyber Defense Lab. Ernie Tarbox is a Senior Systems Engineer at HPE. His expertise spans data protection solution design and implementation across many different verticals for the past 15 years. These include big data and cloud infrastructure, Public Key Infrastructure (PKI), payment card processing, and identity management systems for health care, retail, financial and government clients. Prior to his work in the information security industry he also has worked in health care for 13 years in all aspects of information technology, clinical, administration and business intelligence. Prior to Voltage he worked at Entrust technology for 10 years providing PKI infrastructure and application integration to solve data protection solutions across the enterprise and government. He completed a Bachelor of Science degree from the Medical University of South Carolina. Justin Kelso is the Regional Product Management Director for HPE Security ArcSight - Americas. In this role Justin interfaces between the ArcSight Americas field organization, our customers, and ArcSight Product Management. Justin is a primary advocate and partner to customers in the region to gather feedback and requirements for ArcSight products and future endeavors as well as assisting our field organization in maximizing customer success. Justin has a long history of partnership and service with the US Public Sector. He started his security career in the US Air Force as an administrator of domains, networking, and security products in both unclassified and classified environments. He later moved on to government contracting in multiple agencies in the roles of security analyst, security operations center supervisor, and incident response manager. After years of exposure to ArcSight products Justin began passing that knowledge on to other as the ArcSight University instructor in Reston, VA. During this time Justin trained customers unnumbered as well as new ArcSight employees. Through these relationships Justin was invited to join ArcSight as a Pre-Sales Engineer for the Public sector where he served numerous Federal entities over the years. In 2015 Justin moved into his current role within ArcSight Product Management. Regardless of role and position Justin has always placed the security of our Government, it’s citizens, and businesses at the forefront of his efforts. Speaker information will be announced soon. Vishal Desai, Savli Group’s President and Founder, is an active and innovative participant in the IT Service Management industry for over 25 years. His deep knowledge in ITSM discipline has resulted in him being one of the leading members in the community. He consults and delivers high value solutions to commercial and federal customers. He has contributed extensively in magazines, conferences, and industry events. Prior to forming Savli Group, he worked at Goddard Space Flight Center, NASA. He has a Masters and Bachelors in Electrical Engineering. LTC Mark D. Mellott is originally from the Kansas City, Kansas area. He received his Bachelor of Arts in English Literature from the University of Georgia in 1997. He earned a Masters of Public Administration in Management Information Systems from Troy State University in 1999. LTC Mellott completed his PhD in Policy Studies from Clemson University in 2010. He has over 24 years of Army service with over 30 months in hostile fire zones in support of operational and combat missions. He currently serves as the Chief, Execution Branch, Health IT Innovation and Advanced Technology Development Division, for the Defense Health Agency. Prior officer assignments include: Technology Lead and Program Manager for the Performance Triad, Office of the Army Surgeon General (OTSG); Army Medicine Deputy Chief Information Officer (CIO) for Systems Integration at OTSG as well as the Army Medicine Visiting Chair in the Information Resources Management College at the National Defense University, Washington, DC; CIO for Task Force Medical-Afghanistan at Bagram, Afghanistan; Assistant Professor of Management for the Army-Baylor Graduate Program in Healthcare Administration at Fort Sam Houston, TX; CIO for the 28th Combat Support Hospital (Airborne) at Fort Bragg, NC and in Iraq; Company Commander, Headquarters and Headquarters Company 30th Medical Brigade at Heidelberg, Germany, and in Iraq; Deputy CIO at 30th Medical Brigade at Heidelberg and S6 in Camp Bondsteel, Kosovo; CIO for the McDonald Army Community Hospital at Fort Eustis, VA. Enlisted assignments include Flight medic at Dobbins Air Base, GA and lead company medic 3rdEngineer Battalion at Fort Stewart, GA. LTC Mellott’s doctoral research was a focused study of policy impacts on electronic medical record completion rates in Iraq. He continues to research on increasing the usage and quality of deployed electronic medical records. He also investigates how to leverage technology to improve health and wellness among Soldiers, their Families, and our Retirees. He is a member of the Army Acquisition Corps, a Certified Healthcare Chief Information Officer (CHCIO); Member, College of Healthcare Information Management Executives; and Member, Health Information Management Systems Society. Key military awards and decorations include the Bronze Star Medal (1-OLC), the Meritorious Service Medal (2-OLC), the Combat Action Badge, the Expert Field Medical Badge, the Aircraft Crewmember Badge, the Parachutist Badge, and the Army Staff Identification Badge, as well as other military decorations. Additional skills include the prestigious Medical Proficiency Designator (9A), Army Medical Department Acquisition Officer (8X) and Medical Research, Development, Testing, and Evaluation (8Z). He is a graduate of the US Army’s Command and General Staff College. Aaron Goltzman currently leads Infrastructure Transformation for many of Accenture’s largest Federal Government clients. With 20 years of experience at Accenture, Aaron manages the design and implementation of large scale systems, architectures and data centers. He designs database, ERP and custom systems and executes the construction and migration of several data centers to support government security and COOP/DR implementations. For the DoD, Aaron designs and deploys cloud strategies and service offerings to support IaaS and PaaS. Most recently, Aaron designed and implemented the DHMSM infrastructure across various data centers and environments, including the solution achieving a “Trusted Build”.